A scroll shaped white marble tablet with the dedication written in plain black lettering. It is mounted on a rectangular grey marble backboard. 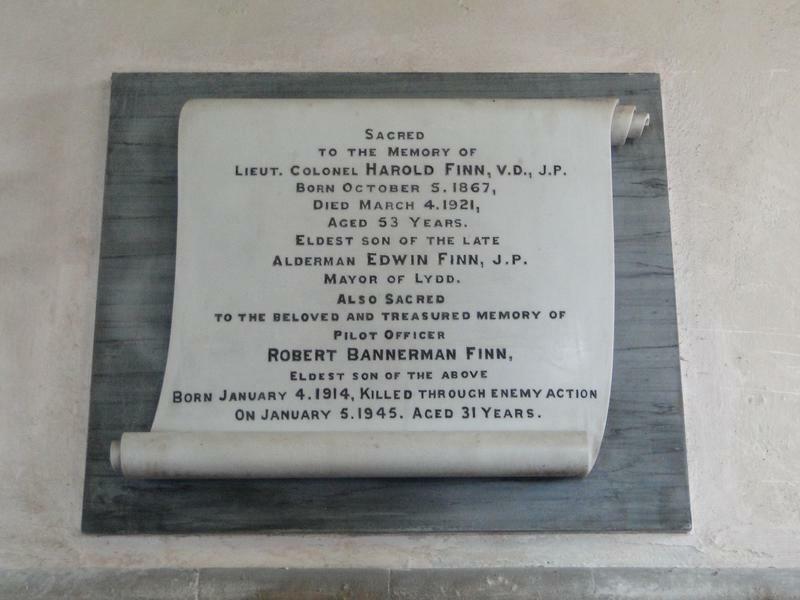 (...) ALSO SACRED/ TO THE BELOVED AND TREASURED MEMORY OF/ PILOT OFFICER/ ROBERT BANNERMAN FINN,/ ELDEST SON OF THE ABOVE/ BORN JANUARY 4. 1914, KILLED THROUGH ENEMY ACTION/ ON JANUARY 5. 1945. AGED 31 YEARS. 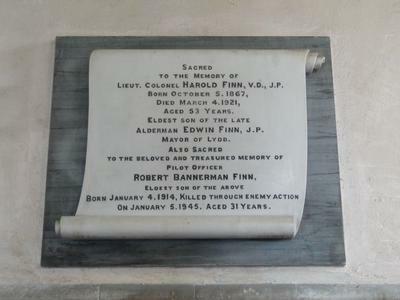 Information shown: Rank, forename, surname, date of birth, manner of death, date of death, age at death.